All nominees for Design Awards “Designer of The Year” and all other categories 2018 now published! Winners to be revealed at the award show on September 20. 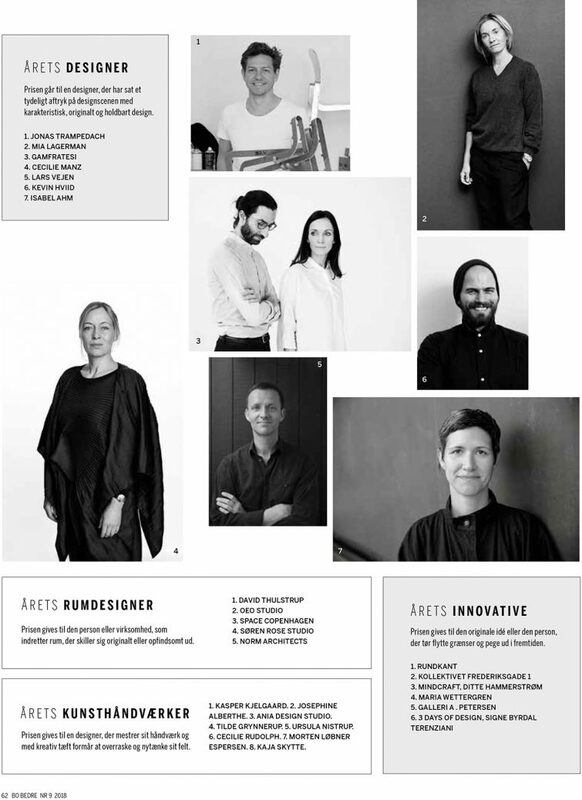 Fingers crossed, congratulations to all nominees and thank you Bo Bedre, Boligmagasinet, Nordic Living and Costume Living for the nomination!